The Deputy Commissioner, Kendriya Vidyalaya Sangathan has issued an admission schedule for the academic session 2019-20. Further, Deputy Commissioner, Kendriya Vidyalaya Sangathan has issued necessary instructions to the Heads of Region wise Kendriya vidyalayas to follow the same schedule and display the admission schedule on the Notice borad of their respective schools. 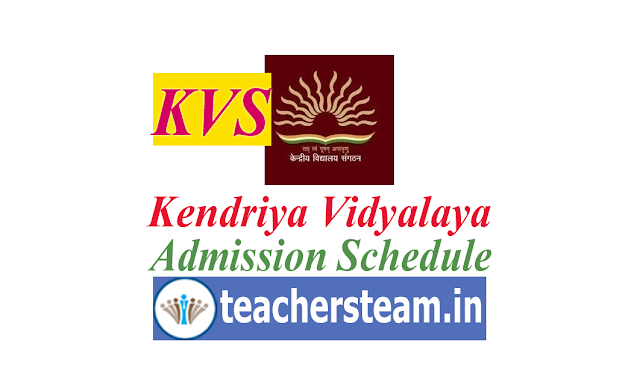 List of children registered, list of eligible children, category-wise list of provisionally selected children, waiting list and subsequent lists to be compulsorily displayed on the web-site of the Kendriya Vidyalayas concerned, in addition to display on School's Notice Board. If any of the dates happens to be a public holiday the next working day shall be treated as opening/closing date.